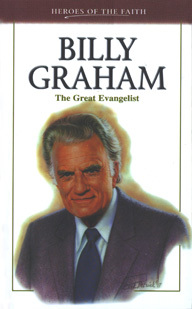 Billy Graham, unquestionably regarded as one of the leading Christian figures of his generation. No preacher before him had used the mass media to such advantage. No preacher before or after him has delivered the message of the Gospel of Jesus Christ to so many. Billy Graham, who has preached in person in more than eighty countries to over 110 million people and has reached hundreds of millions through television and radio, is truly a phenomenon of the twentieth century. His personal integrity and humility, and most of all, his simple yet profound delight in God’s Word continue to influence lives and win souls for Jesus Christ.